Educated at the Royal Grammar School Guildford and Godalming VI th Form college, Andy Salmon joined the Royal Marines in 1977. He read History at Warwick University, has an MA in Defence Studies from King’s College London and is a graduate of the RN Staff College (1993), Royal College of Defence Studies (2004) and the Higher Command and Staff Course (2006). He has served in 40, 42 and 45 Commandos on operations including Belfast (1978), the Falklands (1982), Crossmaglen (1983), South Armagh (1990), Northern Iraq (1991) and Angola (1992). He was CO 42 Cdo RM with the Amphibious Ready Group for operations in Sierra Leone (2000-twice) and was Director Plans, Coalition Military Assistance and Training Team, Baghdad (2003). In between, he commanded a detachment on HMS Herald (1984) in the ice patrol role and trained young officers. 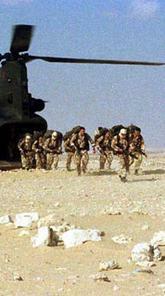 He has served in HQ Commando Forces and was SO1 Plans and Programmes, HQRM (1995-7). His MoD experience includes DOR(Sea) as Requirements Maritime Special Forces (1994-5) and Assistant Secretary (Policy) in the Chiefs’ of Staff Secretariat, which coincided with the Strategic Defence Review, Iraq and Kosovo crises (1997-99). He was Director Balkans (2001-03) during the Macedonian crisis and for NATO and EU restructuring. 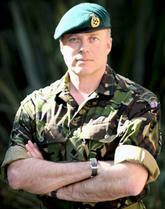 Prior to Commander UK Amphibious Forces, he was ACOS Plans and Resources, Fleet Command (2004-6) and Commandant CTCRM (2007/8). He has published and lectured on the use of the military and is a Visiting Senior Fellow at the London School of Economics. He loves sport and music, is President of RN/RM Triathlon, and Vice President of RN Rugby and RN Tennis. He lives in Devon with Liz and their 3 children.